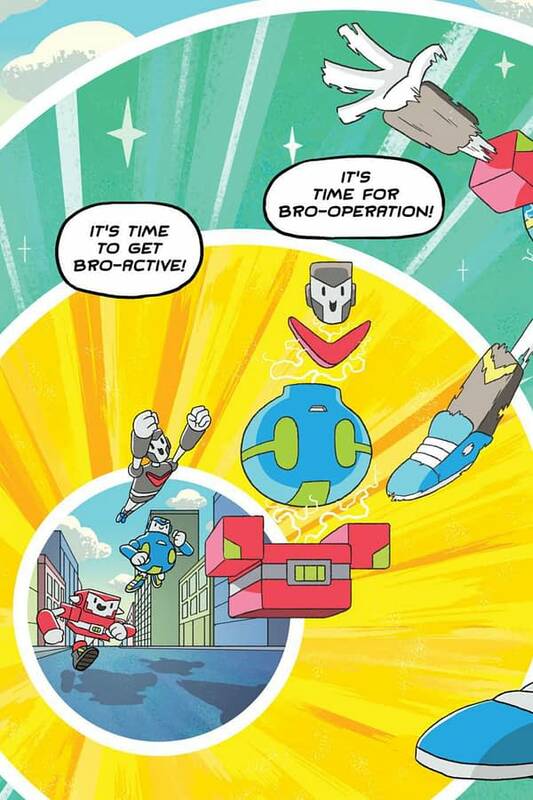 BroBots Vol. 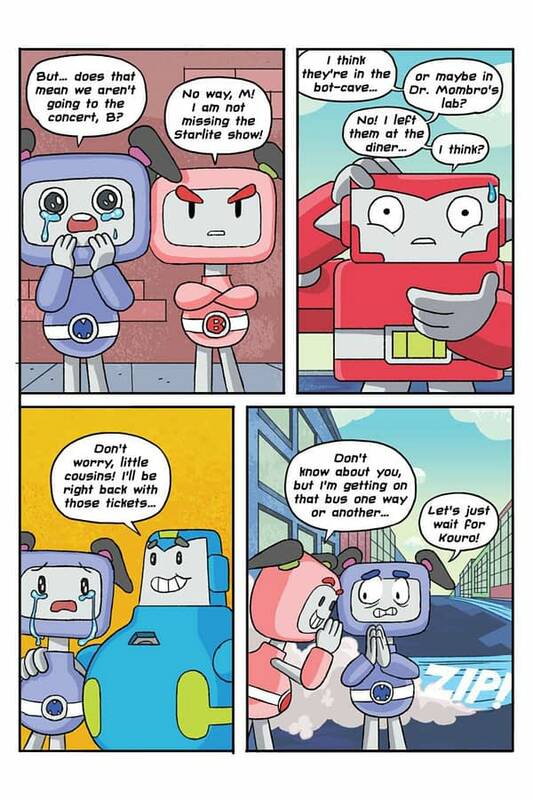 3: BroBots and the Shoujo Shenanigans! 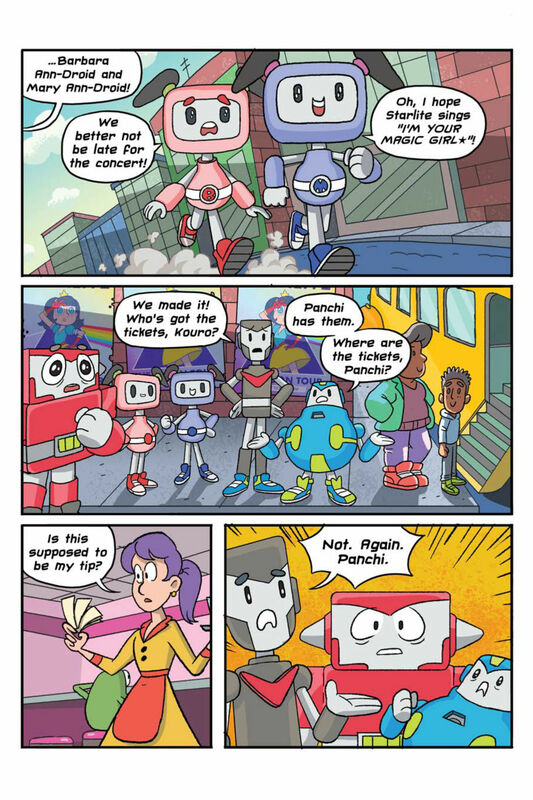 The BroBots return in another thrilling, top-billing adventure—with cousins Mary Ann-droid and Barbara Ann-droid in tow! 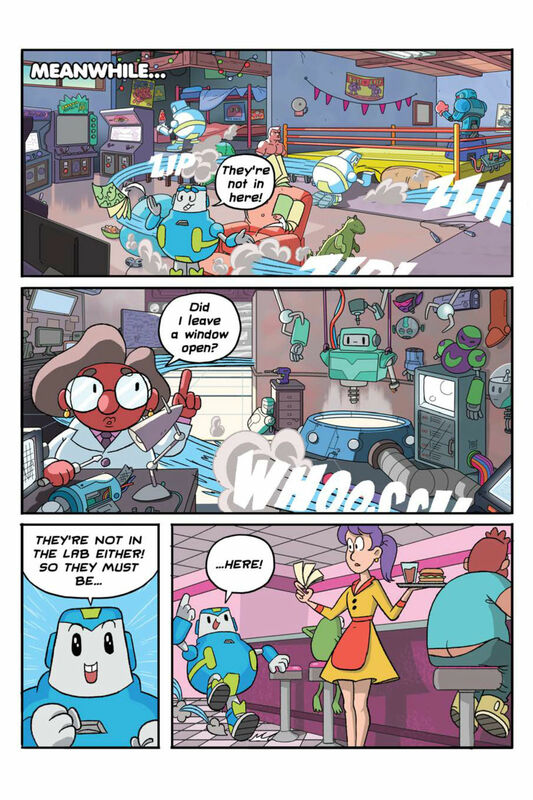 What should be a routine trip to the moon to see pop sensation Starlite quickly turns to disaster when the BroBots discover her in a deep sleep! 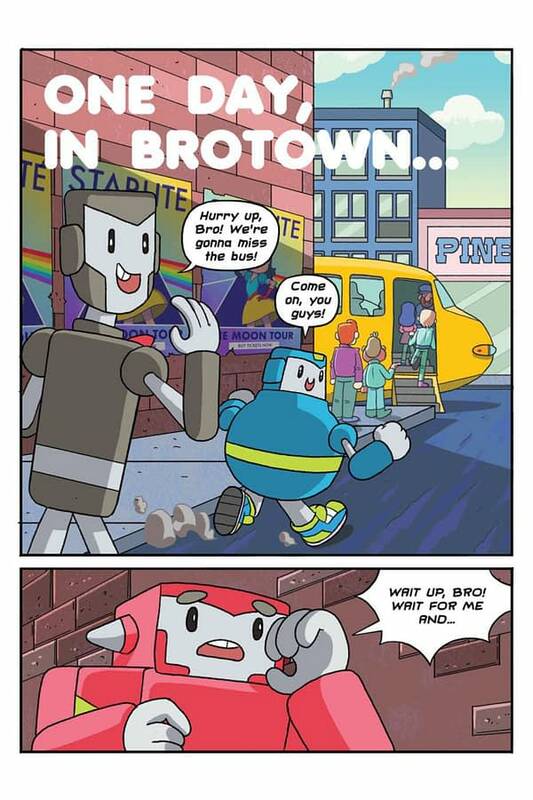 Waking up is hard to do, but the BroBots are experts at going by the book. 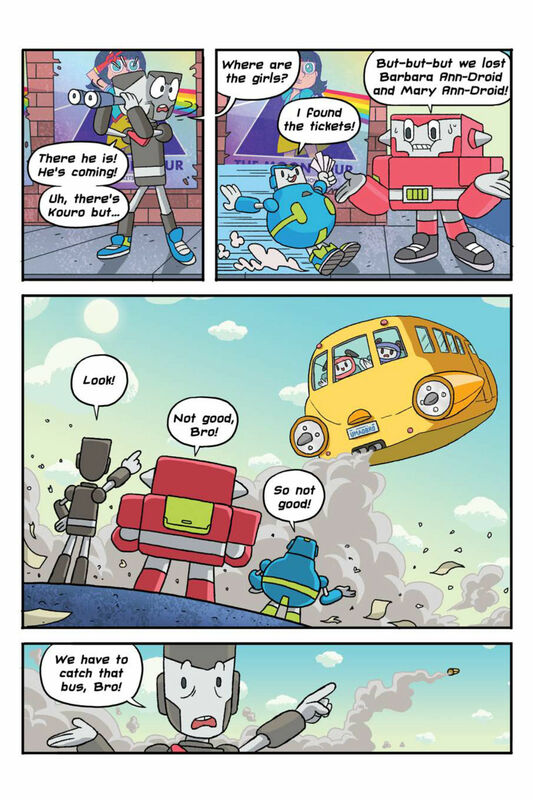 But where’s the book that tells them how to defeat the giant, evil moon monster putting everyone to sleep? 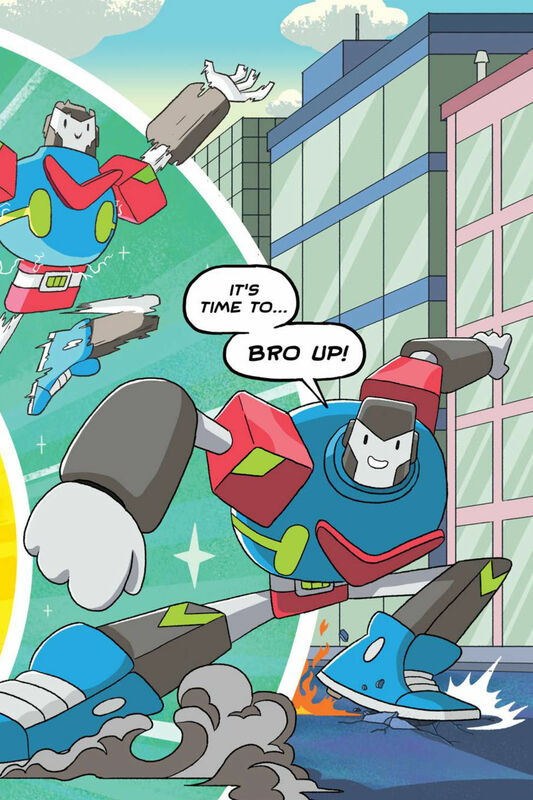 Against their biggest, baddest foe yet, do the BroBots—and their cousins—stand a chance?